THE RIVER HOUSE. 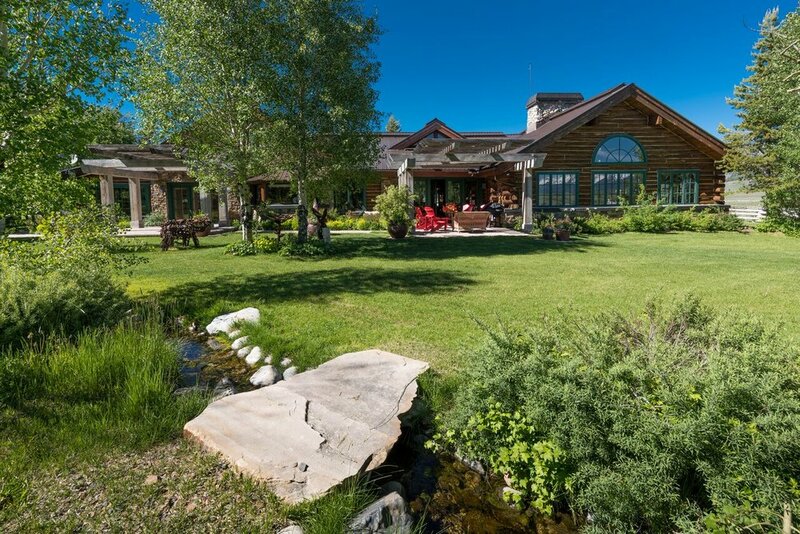 Exclusive riverfront compound with four separate houses, a temperature controlled wine tasting room, exceptionally appointed spa, and gated greenhouse nesting on 7 acres with 1,100 feet of private river access minutes from Ketchum. An unparalleled estate of distinction and luxury, redefining waterfront living. Historic Horse Ranch Property - in the middle of forever. This magnificent private 80 acre property is where relaxed luxury and sophistication meet western sensibility. Designed with the highest quality finishes, the main 5,700 square foot residence invites entertainment and enjoyment of the natural scenery. 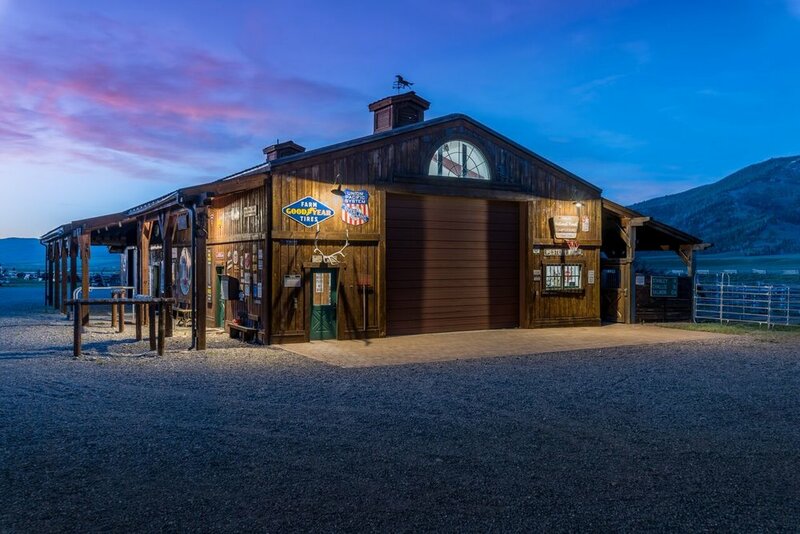 The ranch also includes 3 Ralph Lauren inspired guest cabins, a 3,600 square foot manager’s house, a barn with 6 covered stalls, and several outbuildings. Busterback Ranch is located in the Stanley Basin, just 40 minutes from world famous Sun Valley, Idaho. Grand ski lodge at the end of prestigious Fairway Road in Sun Valley. This mountain style home has elegance in every square inch. The home provides everything a family or corporate retreat requires. Gracious entertainment living room with full bar, monumental fireplace, & state of the art audio visual equipment. The formal dining room, kitchen, and breakfast area are surrounded by expansive decks facing Bald Mountain. The four fireplaces, attached 2 car garage, and grand staircase enhances this 7,500 square foot estate. This private, 1.2 acre hilltop Sun Valley estate boasts over 7,000 sq. 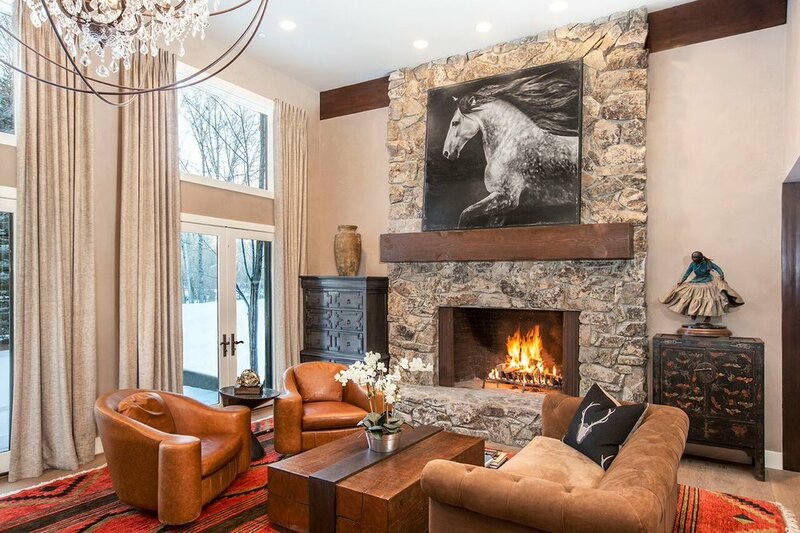 ft. of luxury living, just minutes from downtown Ketchum. 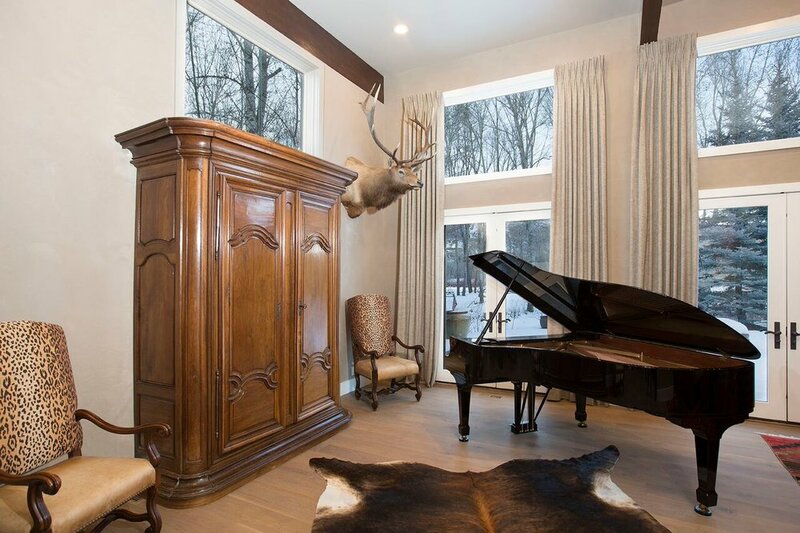 The beautiful, lodge-style home features panoramic views with expansive cathedral ceilings throughout, a gourmet kitchen, main-floor master, and 3-car garage. Extraordinary Jim Ruscitto architecture with dramatic floor to ceiling stone features. 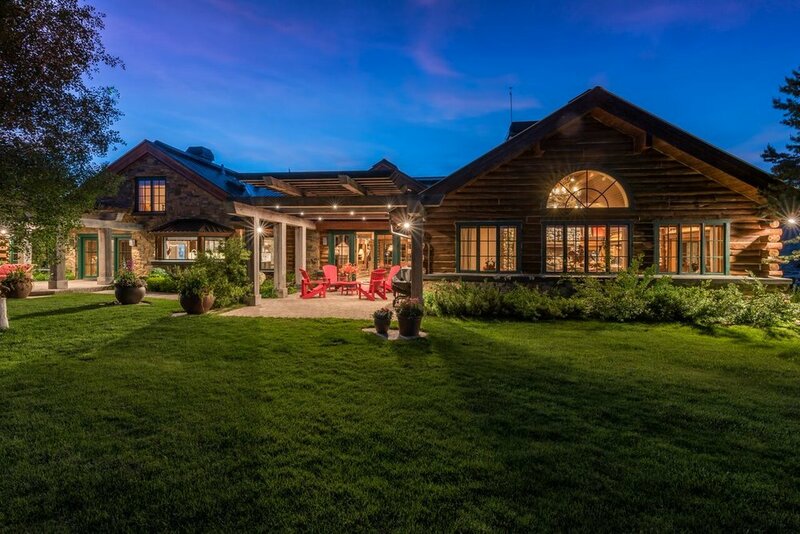 This property is located on the East Fork of the Big Wood River and features a tennis court, swimming pool and guesthouse in addition to the 5 bedroom main home. 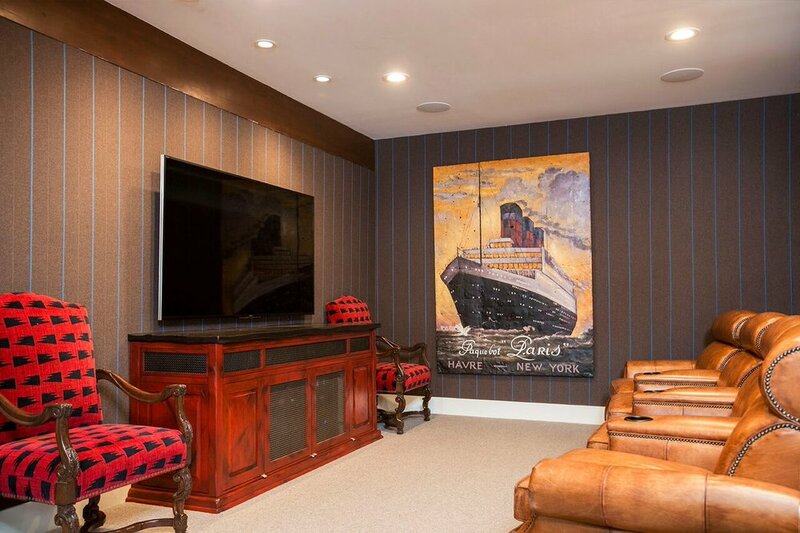 Media room, wine cellar, main floor master, two offices, games room, den, outdoor covered fireplace on river, gorgeous finishes; a must see for the discerning buyer. This contemporary mountain home features lake views with a spectacular Bald Mountain backdrop. 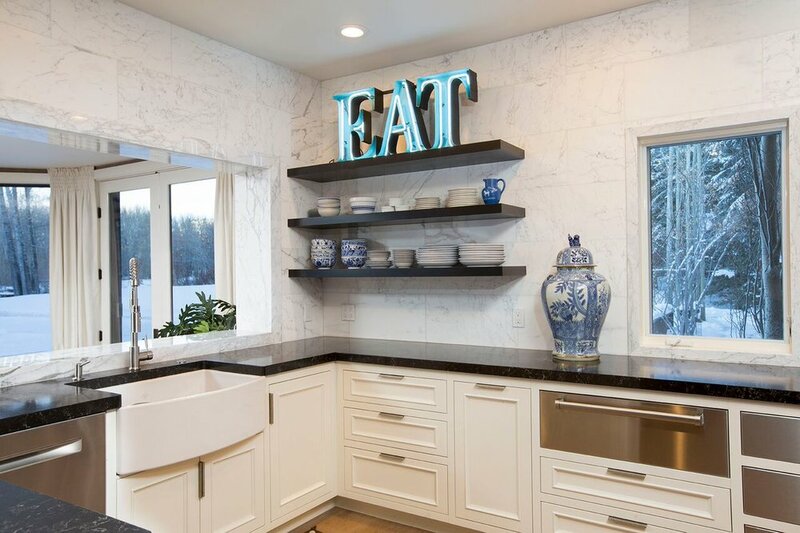 The open, modern, main floor living spaces feature a large chef’s kitchen with breakfast bar, office, dining room, and great room with plenty of natural light, along with master wing, his & hers closets, and large master bath, and expansive patio ideal for entertaining. One of the most outstanding homes in Blaine County! This exquisite, 8,122 square foot easterly facing waterfront masterpiece rests on four acres with extraordinary views. The natural light combined with phenomenal appointments create an atmosphere of the utmost luxury. Stone accent walls and huge ceilings throughout, with living spaces meticulously designed to combine both grandeur and intimacy. The main floor master wing has a limestone fireplace, a stunning master bathroom, and an office with an additional fireplace, bar, and built-in humidor. The separate apartment contains a kitchen, dining, sitting area, fireplace, and attached bath. It has both a door to the exterior and a lock-off from the main house. The upstairs guest wing is comprised of two en-suite bedrooms separated by a game room complete with pool table, card table, and TV area. The entertainment area downstairs includes a temperature controlled wine room, theater with wet bar and popcorn machine, and an exercise and massage room. An expansive, heated patio for outdoor summer entertaining, including a BBQ and fire pit, as well as a heated pool and spa. 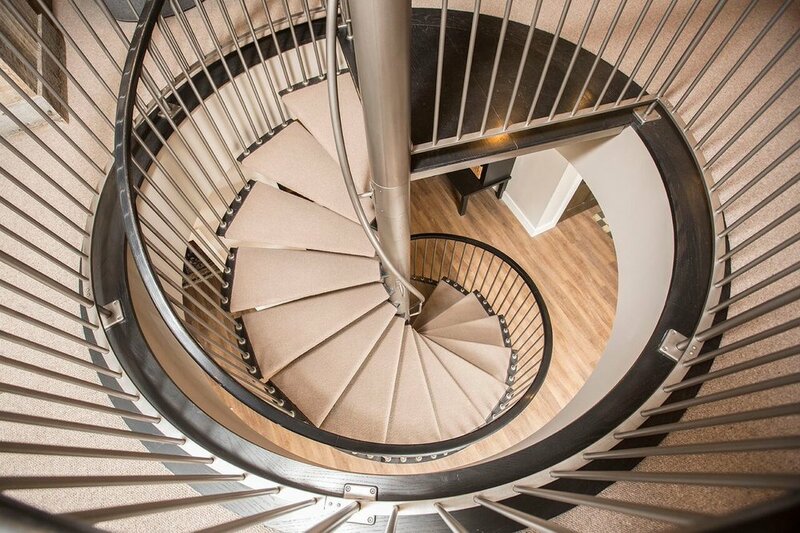 Priced to sell, this extraordinary home won’t last long. 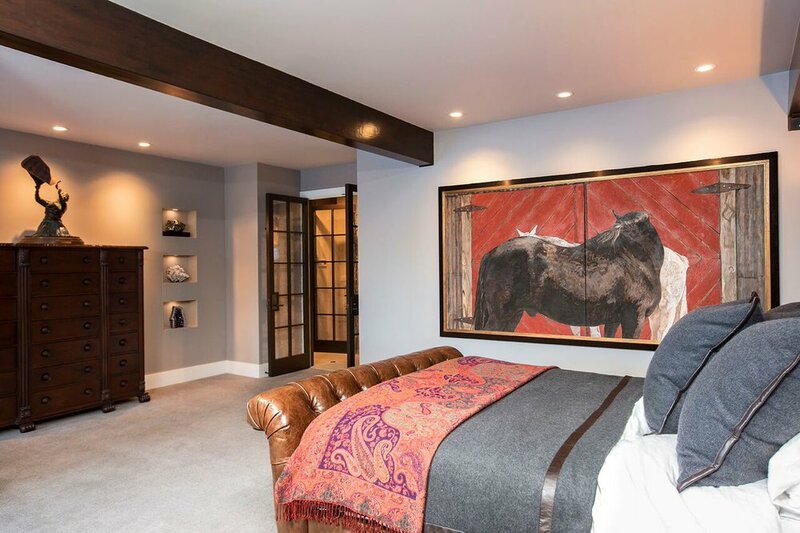 Perfectly packaged pied-à-terre, easy access to Ketchum hub and Warmsprings ski lift. Two bedrooms plus office in main house, with an attached guest studio, minutes from town! Bright, open living spaces, state of the art appointments, and low maintenance make this cozy home the perfect mountain sanctuary for the discerning buyer. 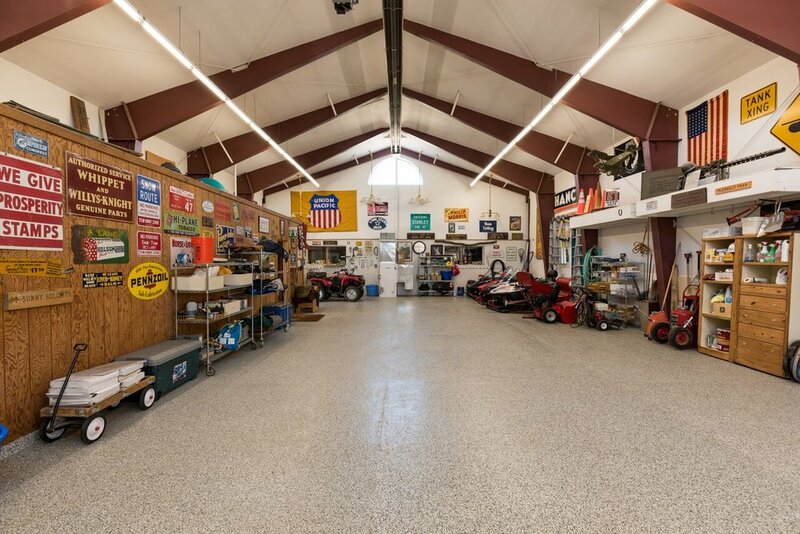 This unique property is a must-see. This 0.23 acre development parcel features views of Bald Mountain. Just a half mile from River Run Lodge. Preliminary concept plans available for 3 units & 7 units.